The C2-TCT Broadband Amplifier is a low-noise current amplifier with an analog bandwidth of 2 GHz and 40 dB gain. Its low cutoff frequency of 10 kHz is optimized for TCT measurements (Transient Current Technique) in the 50 μs range. 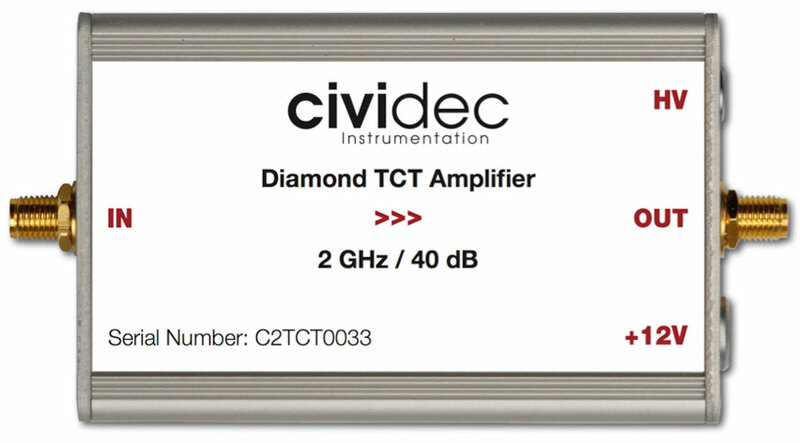 The ideal amplifier for TCT measurements for detector physics. The C2-TCT Amplifier is optimized for Transient Current Technique (TCT) measurements. The wide bandwidth of the amplifier allows measuring current signals in the range of ns up to 50 μs. This makes it the ideal amplifier for detector physics studies with various detector types, as used in high-energy physics. 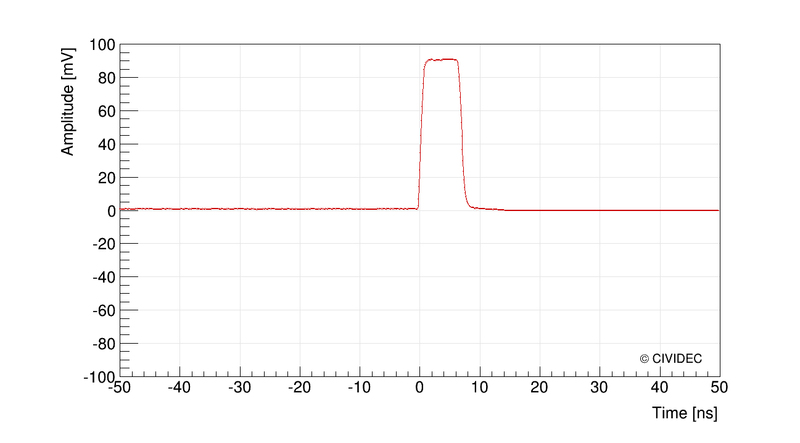 The typical rectangular signal shape of a sCVD diamond detector under 5 MeV α-irradiation, as measured with the C2-TCT Amplifier, proves the phantastic linear time response of this amplifier.